Minisa Crumbo, Dawnwoman, shares her Breath of Spirit in her book “Spirit Talk: a count of days“ that was the encouragement to write a journal. Minisa is an Artist, Teacher, Author, and Video Journalist, that connects Us to the Medicine Circle in Oklahoma. Tone 5 offers us an Empowerment, as the Central Organizing Force at the Center of the Cube. Our climb of new Spiritual Growth is drawn under our own Authority and Application of our Spiritual Resources. Tone 5 completes the Experiences that will be drawn together to create a new way of walking in the world. Transformer/CIMI is the Sign of a Major Life Change. It marks an important turning Point that will change our future. CIMI holds the Gift of Clairvoyance and shares the Gift of seeing our own future. We’ve created the Seed of a New “I Am” and now we inspect it to Understand how it will change our Experiences of Living. 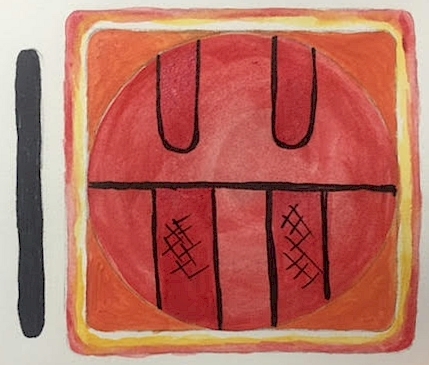 The CIMI glyph illustrates the face of Death, reminding us that something always Dies as something New is Born. The Atonement that was our Gift of Ascension from the Offering/MULUC trecena completed our Divine Creation for the New Seed of our Self to claim as Higher Ground. On CIMI we can Clearly See by the Power of CHICCHAN, that we are not who we used to be. We were cleared of residual pieces and parts of our old Identity, that seem to have fallen away on their own in the Light of a New Illumination of the Creator’s Love and Gifts that were Meant to Create a Life of Joy. As if a Wind blew through, we can see a New Way to Be Alive in a Living World. We can see a world we’re creating that’s worth Supporting with Faith in our Dreams. Tone 5 brings the power to lead us to a new transformation. We are working to complete an upward climb toward a new place of balance. Our guidance comes from Reed/BEN, the Day Sign that represents a place of communion with God. 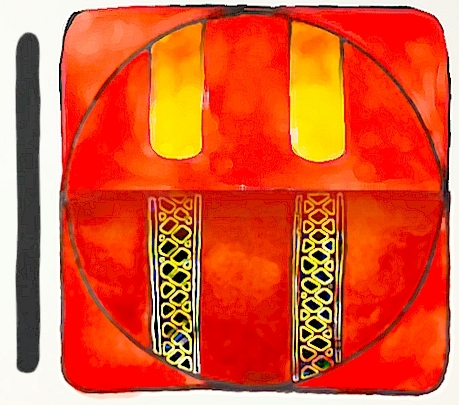 The glyph illustrates lines above as the Light of Spirit’s descending, below the woven prayer rugs used for kneeling before the altar, the horizontal line. Reed/BEN offers a way to be in balance with one another and the Natural World through our connection to Spirit. Reed is the hollow tube through which we receive a blessing of Sacred Fire. Cherokee, Reed I’hya: Symbol-Reed is the Earth, reflection of the Star Chaga of Pollux. Reed made up the Magician Twins who led the journey to bring back to life the daughter of the Sun. The Casket is Gemini. Energy for Intellectual minds, creation, re-creation, new directions, breaking the ties that bind. A trailblazer and leader. From the East, direction of success and happiness, no matter what route is taken, always ending up in the Light. 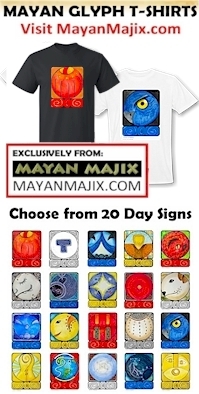 The Tzolk’in is the sacred calendar of creation. The 13 Galactic Tones guide us through a process. At step 1 we are guided by inspiration from Spirit to choose an idea or intention that we would desire to bring to life. The following Tones illustrate a sequence of steps for our accomplishment. The Day Sign provides us with a role model – an example of a perspective or an approach that we can follow. At 5 Reed/BEN, Tone 5 presents the time for our empowerment. Empowerment is defined as an accomplished state of self-responsibility and self-determination. Reed/BEN shows us that the way to be empowered is by seeking our connection to Spirit. All our needs are satisfied as we present them to the Creator through our prayers and offerings. When we know the Truth that Spirit may provide our every need, we will gain a new confidence. We must learn by doing. It is our own responsibility to seek the power of Spirit. To all my relations, may I be grateful that I never have to walk alone, and that a way to be connected to Spirit is always present and available. When I choose to seek that connection and surrender my own will to the Creator, I am empowered by the Truth that I am given everything I need.